James Andrew Fahey, a new entrant to the training ranks from his remarkable family, will saddle just his second and third runners at Fairyhouse. A Paddy Power Chase-winning jockey back in 2008, Fahey has just taken out a licence to join his father Seamus, cousin Mark and uncles Jarlath, Paul and Peter as a trainer. The matriarch of the Monasterevin family, Maureen, is understandably proud of her brood, having already seen James win nine races on Wheresben – including that Paddy Power Chase – for the Fahey clan. Caniwillyegiveme, the novice trainer’s first racecourse representative, ran down the field at Navan last month. That was over hurdles, and he is switched to the larger obstacles for his assignment in Wednesday’s Ireland v Britain (Q.R.) Challenge Handicap Chase. 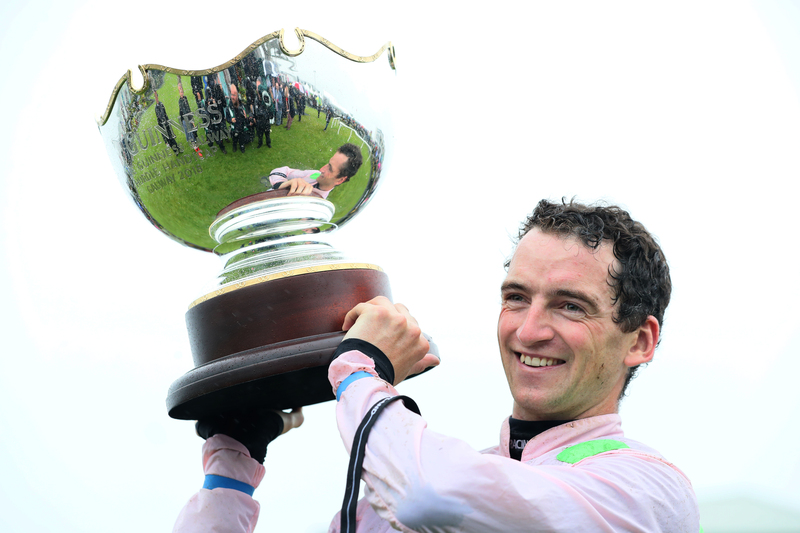 A visor replaces cheek-pieces on the 10-year-old now; the presence of Patrick Mullins in the plate is a plus, and Caniwillyegiveme is not without hope if getting back to his best. Fahey’s girlfriend Heather Heffernan owns the Fruits Of Love gelding, and her colours will also be carried by Mark Bolger on Bernienosteps in the JOE MANE-iac 2000 Mares Maiden Hurdle. Making a belated debut at the age of six, Bernienosteps is probably one to watch for the present – although it should be noted that Fahey and Heffernan have already made their mark on the point-to-point scene. They combined for two winners at Stradbally in May 2017 when Scully’s Dream and B C’s Pride did the business. Elsewhere, one of the chief points of interest at Fairyhouse is the return to action of Missy Tata off a 777-day break in the Coral Free Bets For Lengths EBF Mares Beginners Chase. Owned by Simon Munir and Isaac Souede, and trained by Gordon Elliott, Missy Tata won her last five over hurdles – and she begins her chasing career under Davy Russell. Meanwhile, Elliott also brings Measureofmydreams back from a lengthy absence – 667 days – when he debuts for Cullentra House Stables in the Coral Bet 5 Get 20 In Free Bets Rated Chase.